One of the things that first drew me into reading crafty blogs was the generosity of some beautiful bloggers who not only share ideas, but also share patterns and tutorials ... FOR FREE. 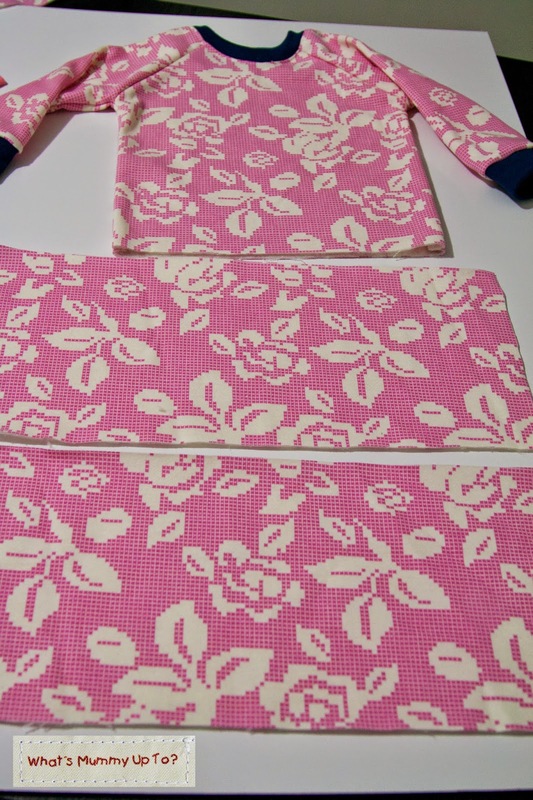 This was and is so amazing to me as I work on improving my sewing skills. I mean, the thought of spending money on a pattern if you're not sure you can pull it off just kinda freaks me out. Well, I've now bought several online patterns ... ones that I new I'd use a tonne ... and use them, I definitely do. But I would never have been brave enough to try this had it not been for the super-clever sewists out there who are generous enough to share their hard work. Thanks lovely bloggy-type people out there ... a big cyber-hug to you!! Oh, and as an aside, have you seen and "liked" my Facebook page. In an effort to get on top of my Facebook page a little more, and make it a resource that might be helpful, I'm going to be posting regular links to cute freebie patterns and tutorials I find in the blogosphere. Check it out for some inspiration. Anyway, one of my favourite things to do in my effort to become more creative with my sewing is to find a good base pattern, then play around with it to make it into something else. That's what I'd like to share today. 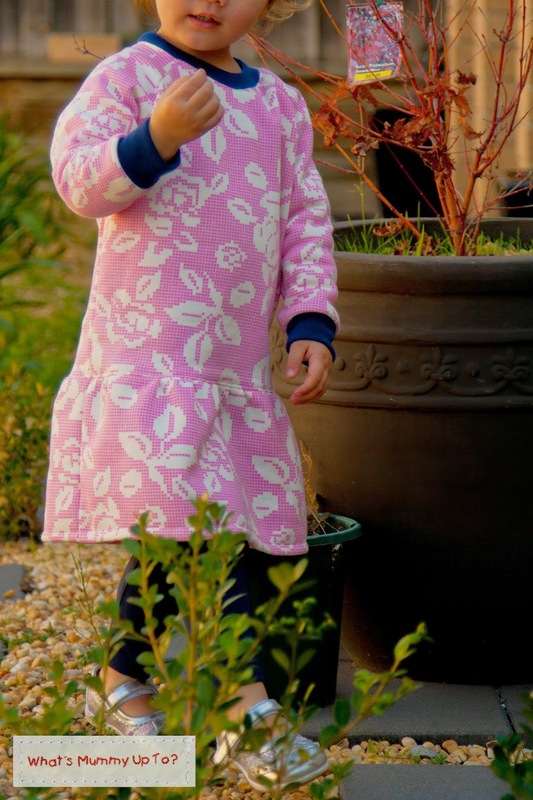 Here's a couple of really quick tutorials I've made, using a basic Raglan-sleeve top pattern to make 2 different style winter dresses for my girls. 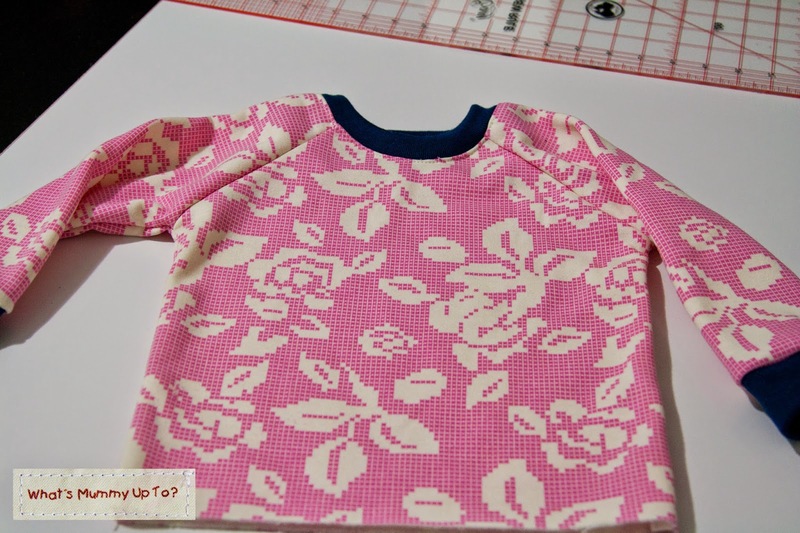 I used this Ranglan top pattern that I found for free on Scattered Thoughts of A Crafty Mom. If you haven't seen this blog, check it out. Jamie is one of my faves! I first used this pattern when I made this Disco Diva top for Bethany, and it's a great pattern, and the sizing is really good too. I'm pretty sure any raglan-sleeve top pattern would be fine for this project if you already have one you like, or if you're feeling brave you could always try drafting your own. 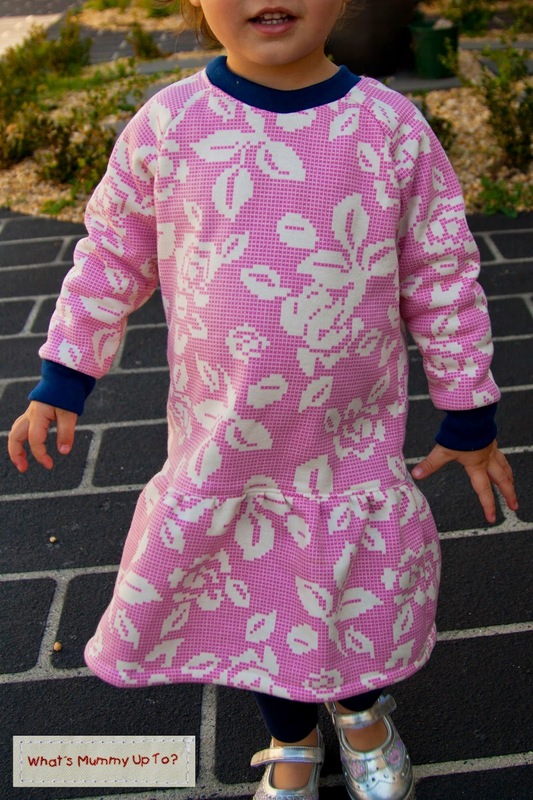 I did it 2 winters ago when I made some Raglan-sleeve PJ's for Bethany. 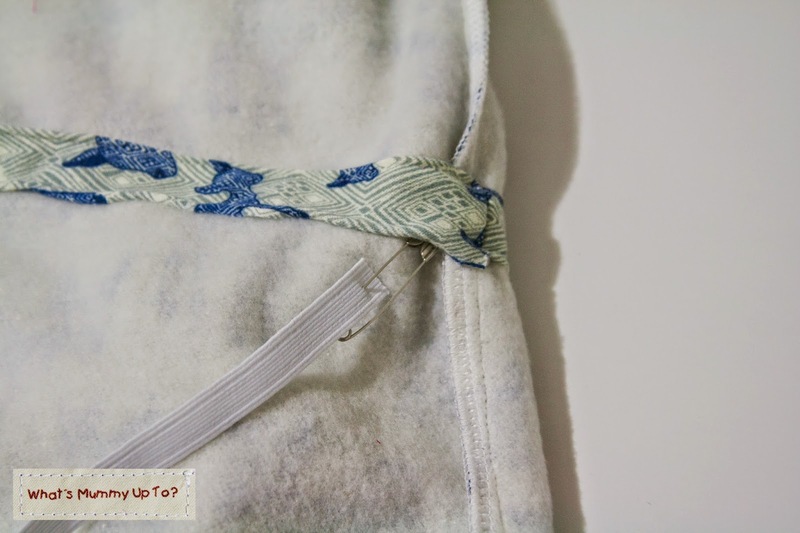 I found a great tutorial on how to do this here, at another of my all-time favourite sewing blogs! Anyway, this was my first raglan-dress attempt. 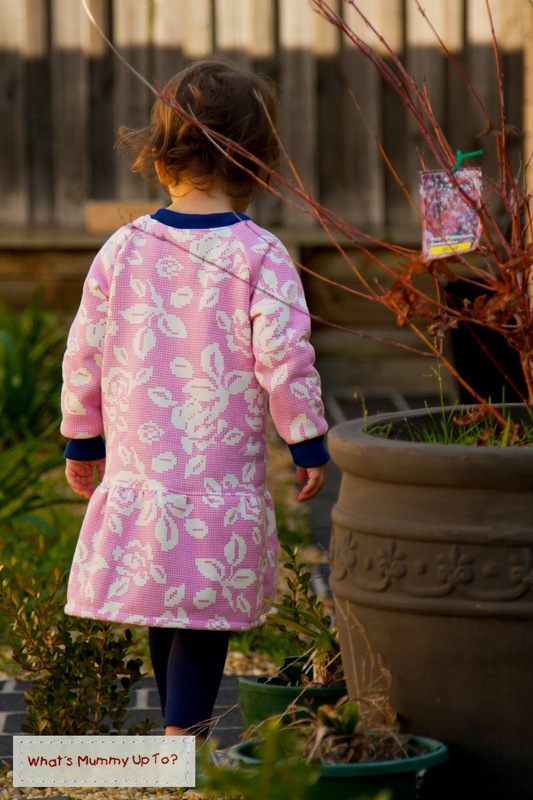 Seeing as it's winter here, I used some gorgeous printed fleece fabrics for these dresses. This fabric caught my eye the minute I walked into my local fabric store ... it was one of those fabrics that just jumps unaided into your arms, and you can't put it down without buying it ... you know what I mean? I'm not convinced Daddy believes this story, but I'm sticking to it! It uses the raglan-sleeve top pattern, lengthened to a drop-waist length, and with a gathered skirt attached. 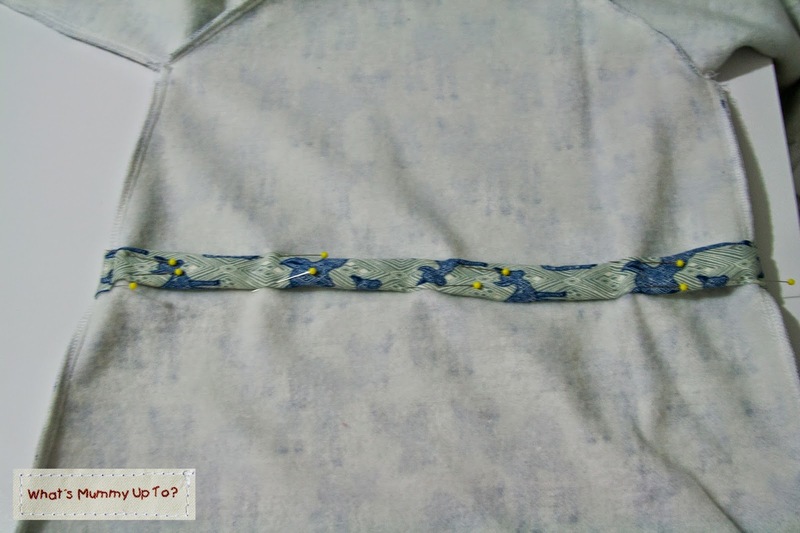 I added the navy-blue ribbing to the sleeves and neckline because I only had navy-blue or white ribbing on hand, and the flowers in this fabric are actually a cream colour ... white clashed a bit I thought. 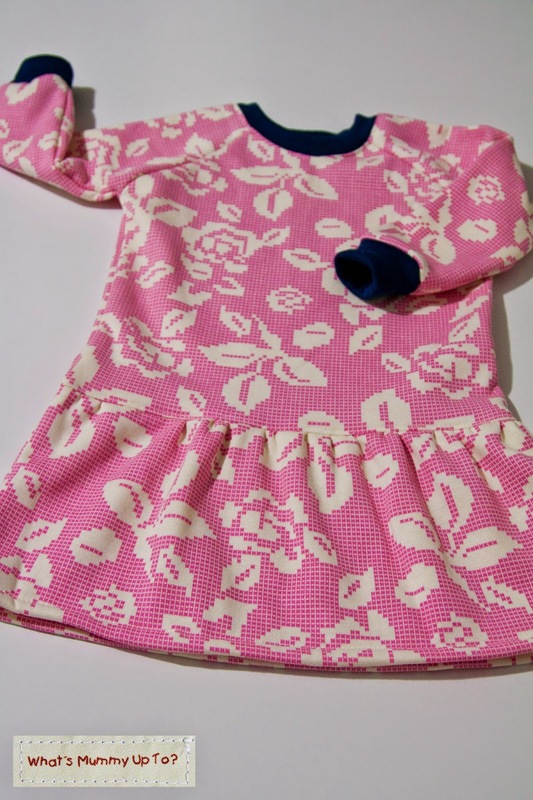 But pink and navy is one of those timeless colour combos, and I love this little dress. I'll admit that I made both girl's dresses a size bigger than they really need, so they are a tad big on them just now ... well you can't blame me for trying to get at least some of next winter from these outfits too! 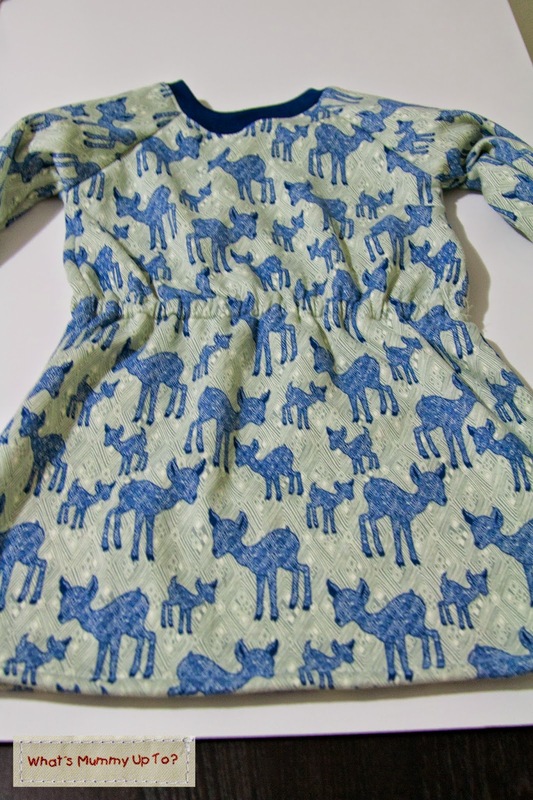 For Bethany's dress, I modified the raglan-sleeve top pattern to create an A-line dress, then cinched the waist. I like it, and so does Bethany (Phew!!). 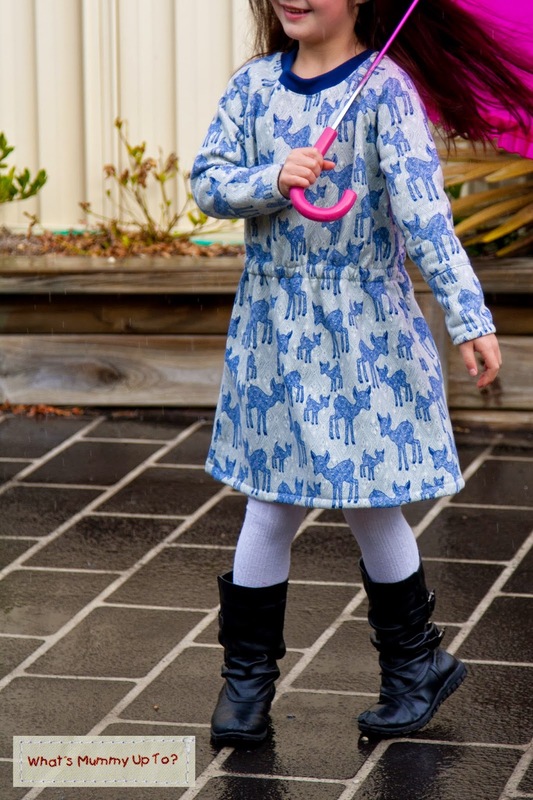 And who ever said wet-weather should stop a photo-shoot ... how good is wet-weather lighting!!! ... and add an umbrella ... whoa ... both of my girls were fighting for a turn in front of the camera! 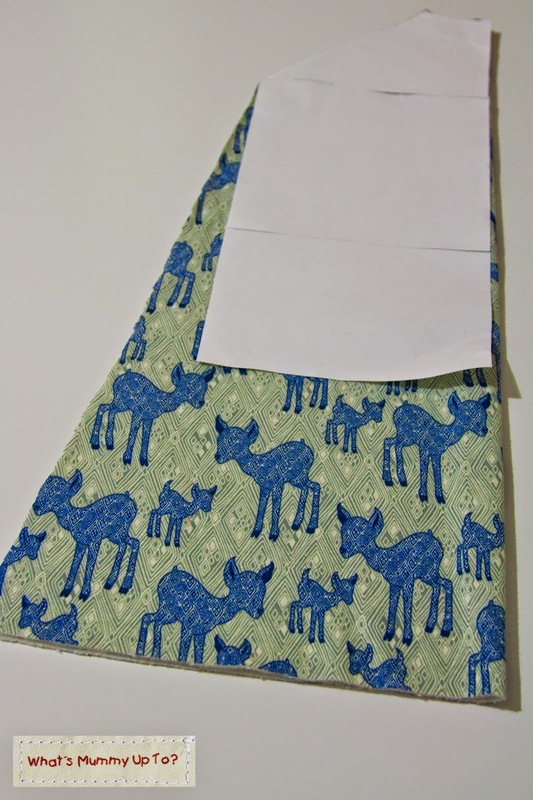 Oh, and how adorable is this baby deer fabric. 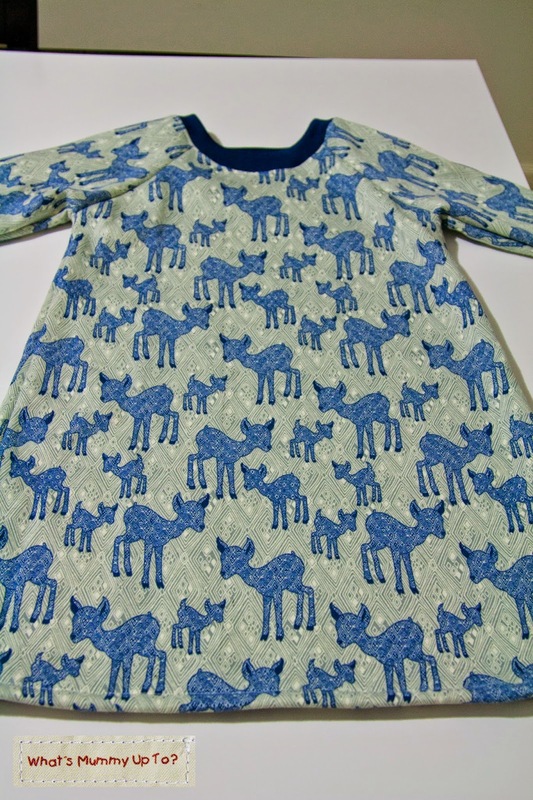 It's another printed fleece. I tried to get more because I loved it so much, but it was sold out when I went back ... boooo!!! - About 1 metre / yard of fabric. 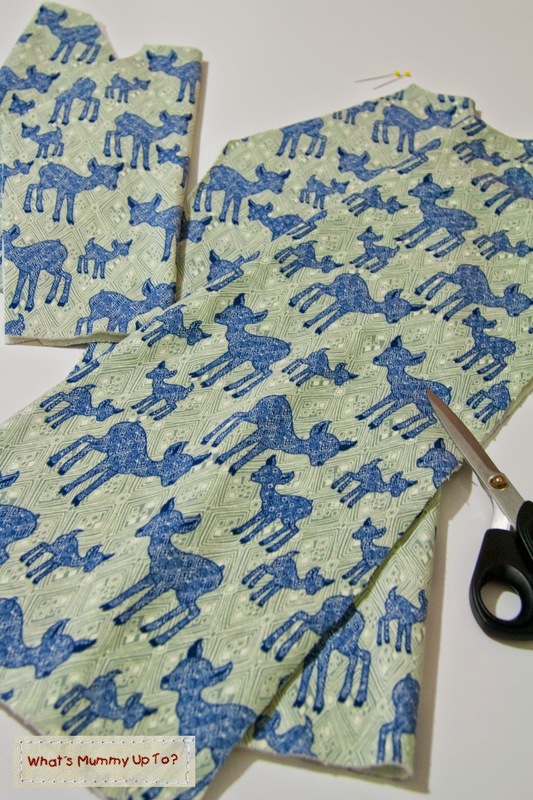 This would work with any fleece or knit fabric, depending on what level of warmth you want. - Sewing machine and coordinating thread. 1. 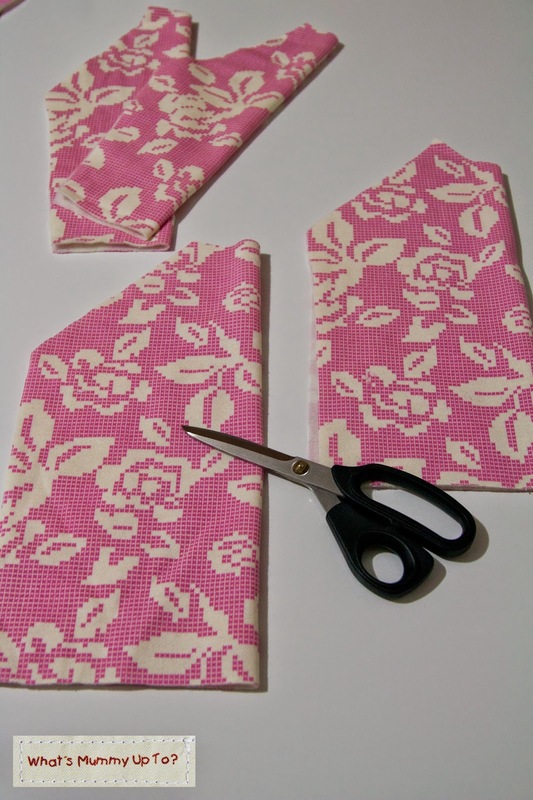 Use your pattern and cut all your pieces out (ie front, back, sleeves). You could add a couple of inches to the length of the front/back pieces if you want to make the dropped-waist a little more ... well ... dropped! 2. 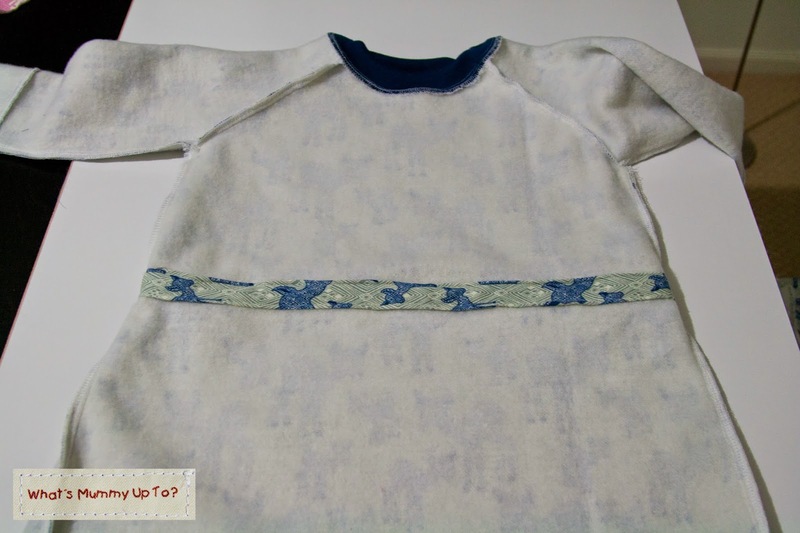 Assemble and sew your raglan-sleeve top together as per your pattern instructions, but leaving the bottom edge un-finished. 3. For the skirt section, measure the bottom of your top. Hannah's was 12 inches wide. Then multiply this number by 1 1/2. So Hannah's skirt width was 18". 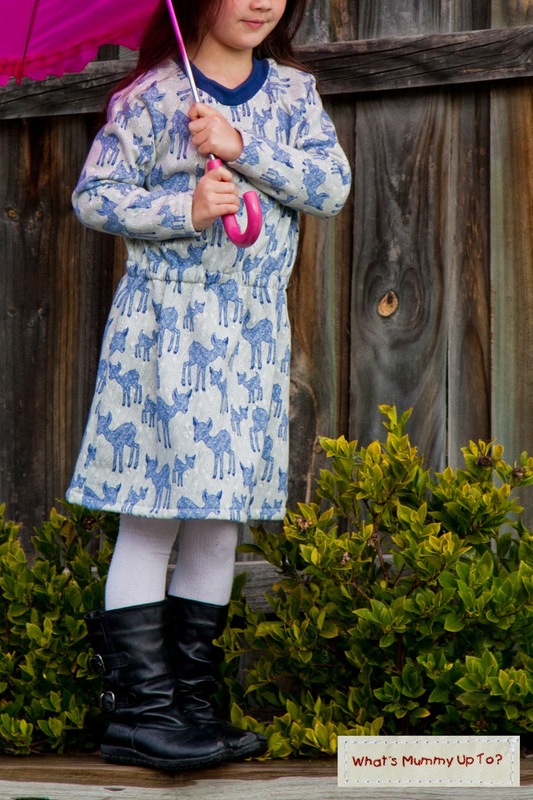 Measure your munchkin from their hip to knee (or whatever length you're after) and add 1 inch. Hannah's was 9 inches + 1 = 10". This is the height of your skirt section. 4. Cut two rectangles as per the above measurements ...so Hannah had 2 pieces measuring 18" x 10". 6. 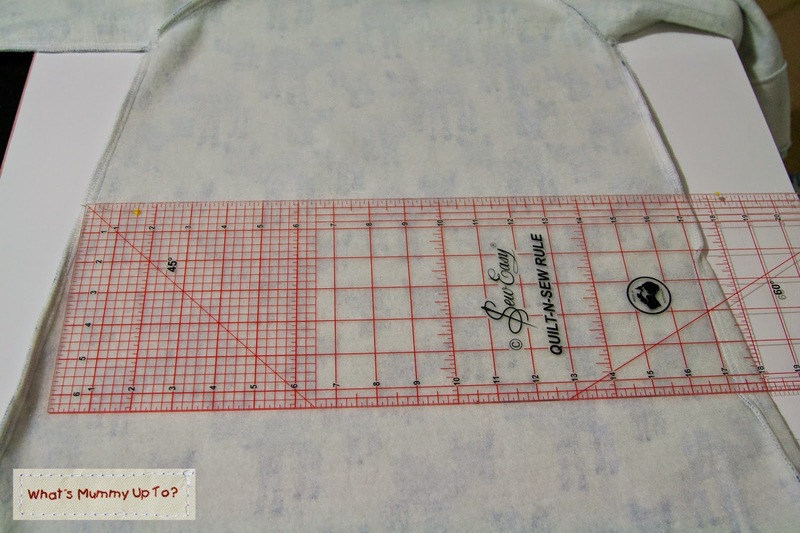 Using your sewing machine's longest stitch length (mine is number 6) sew a gathering row of stitches along the top raw edge, 1/4" from the edge, and from one side seam, all the way around and back to the same seam. Don't backstitch at the beginning and end, and leave some threads so you have something to pull for gathering. Then pull either the top or bottom thread to gather the skirt to fit the top like so. 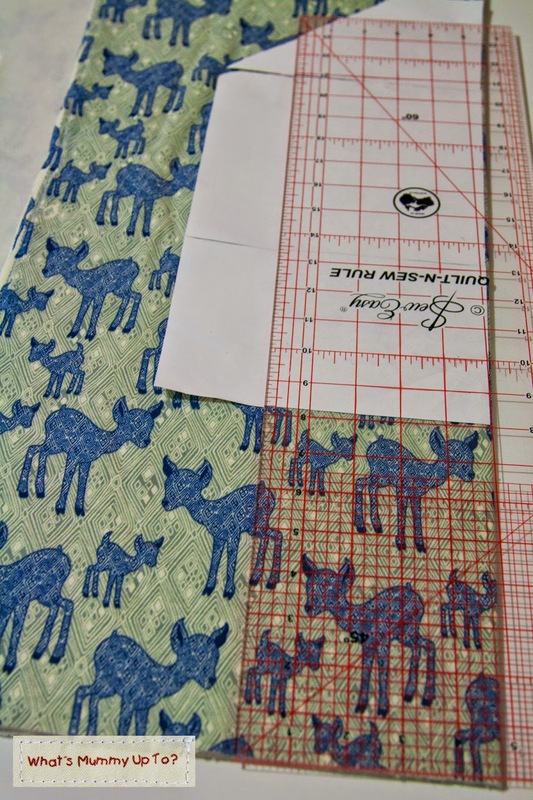 ... then sew all around, using a 1/2" seam allowance. 8. 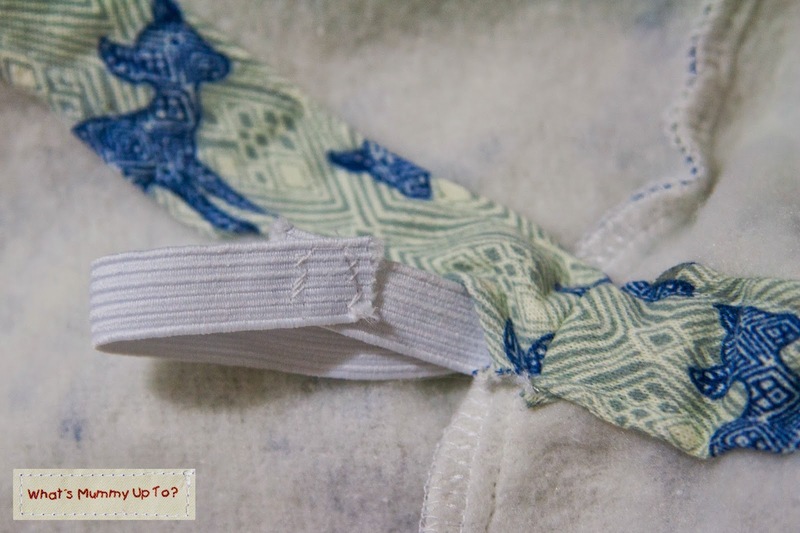 Flip your dress right-side-out and sew a top-stitching row around the waist, while pushing the seam allowance on the inside up towards the top of the dress, so that it gets held in the top-stitching. 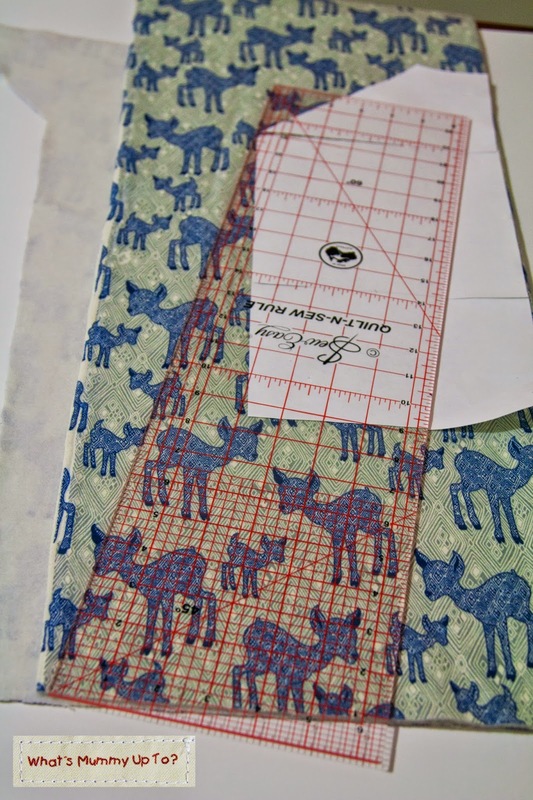 This just helps to keep it all flatter, and I love a bit of top-stitching! And you're done! A very simple, yet effective little dress! And just as warm as any sweater too! 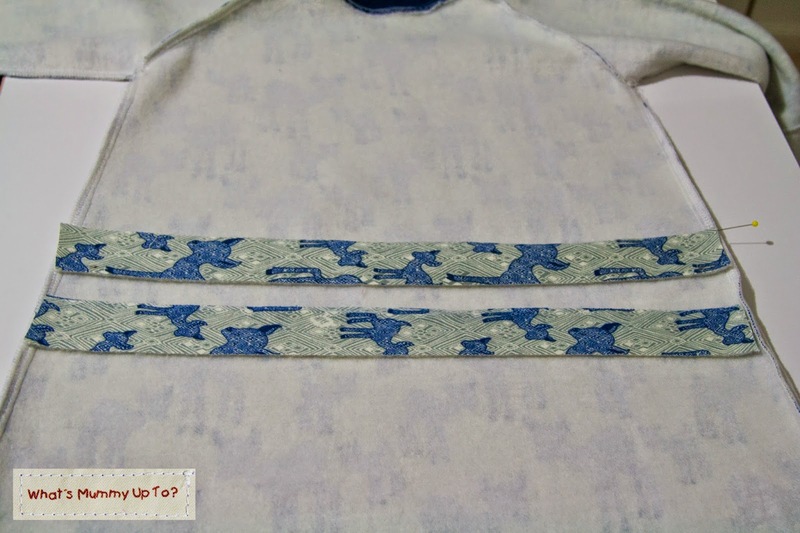 - Some 1/2" wide elastic ... enough to fit around your munchkin's waist, plus 2-3 inches to make it more comfortable. 1. 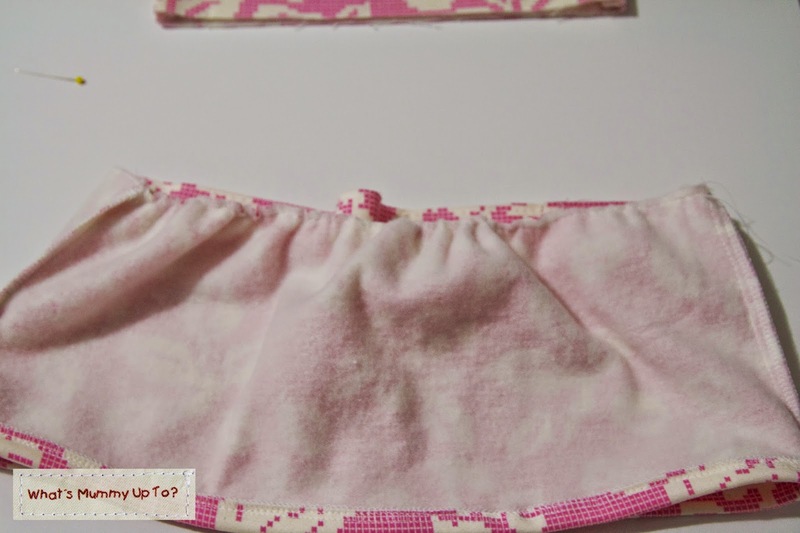 Measure from your munchkin's waist to her knee (or whatever length you want) and add 1/2". 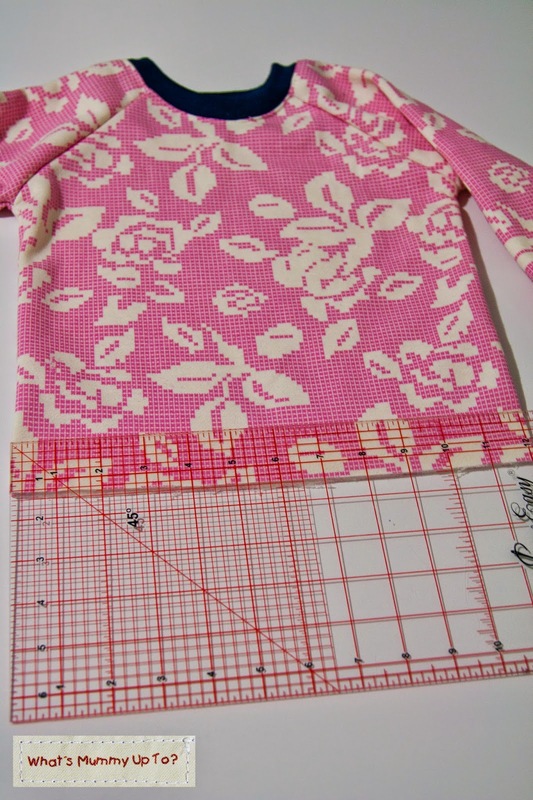 Then place your pattern on your fabric as per the pattern's instructions, extending the bottom of the pattern by the above measurement to make it a dress. 2. 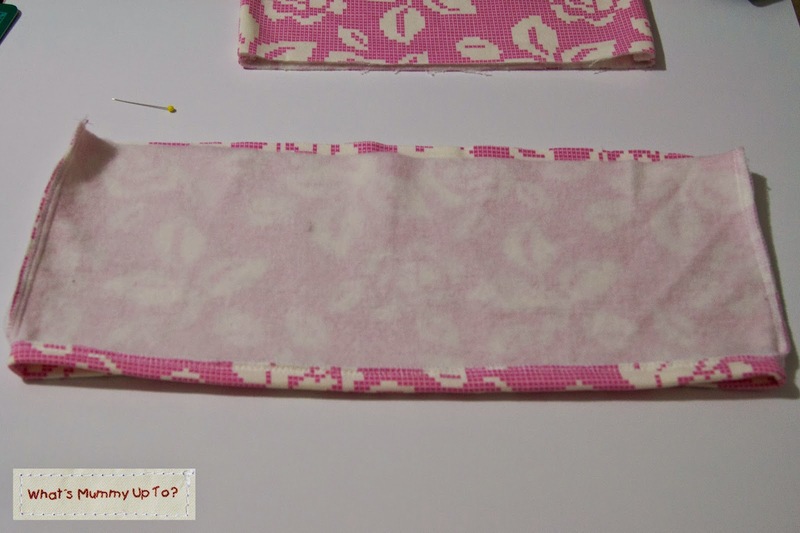 Draw a line from the armpit of your front pattern piece on a diagonal out from the pattern to the bottom of your fabric like so ... this is effectively making the pattern into an A-line style. I measured approximately 4" out from the edge of the pattern piece, and at the bottom of the dress, and this was a good angle for Bethany's size 7 dress. 4. Repeat for the back pattern piece, and also cut out your sleeve pieces as per your pattern. 5. 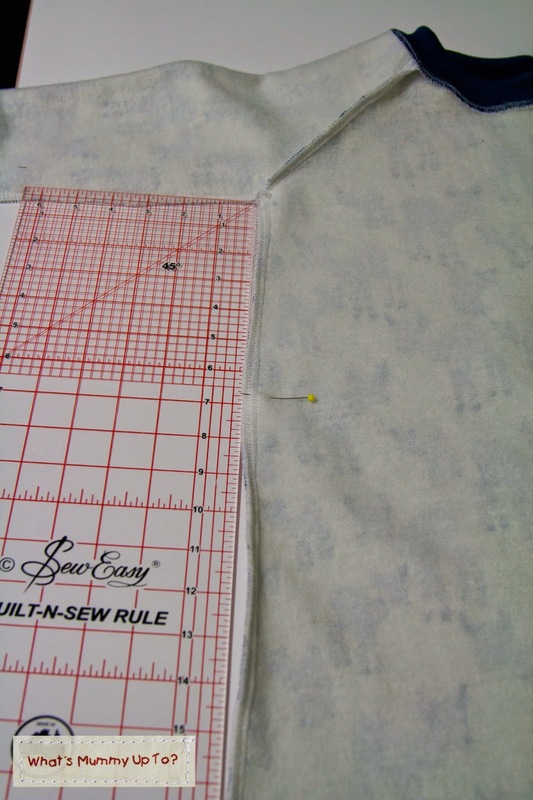 Assemble your dress as per your raglan-sleeve top pattern instructions, and hem the bottom. 6. Turn your dress inside-out. Measure down from the armpit to the approximately location of your munchkin's waist. I estimated Bethany's waist to be approximately 7" from the arm-pit seam. Mark this spot with a pin, and repeat on the other side. 7. Draw a line from one pin to the other like so. Also measure this distance. Bethany's was 17 1/2". 8. Cut 2 strips of fabric that are 1 1/2" wide and the width you measured above (plus 1/2 " to cater for the seams) ... so Bethany's strips were 1 1/2" x 18". 10. Thread the dress into the casing and line up the side seams. Then tuck the raw edges of the casing under, and pin to the dress. ... then sew around the top and bottom of the casing, approximately 1/8" from the edge so there's enough room for the elastic to go through. 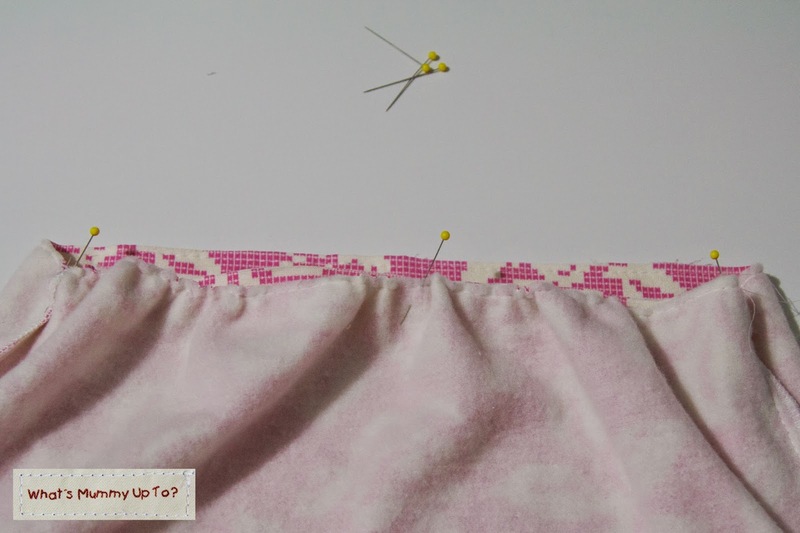 On the bottom edge, leave a 1" gap at the beginning of your row of stitching to allow threading of the elastic. 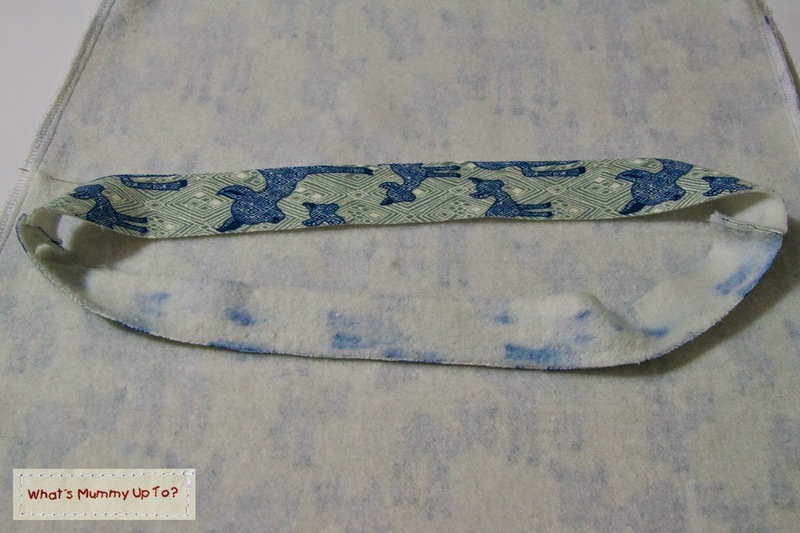 ... then join the ends of the elastic by overlapping slightly and stitching wiht a zig zag stitch. Two dresses, from 1 top pattern, which was available free online! Yay for that! Hope you have as much fun as I did! Wish I had enough for a dress like this for my DD! What a cute little jacket!! 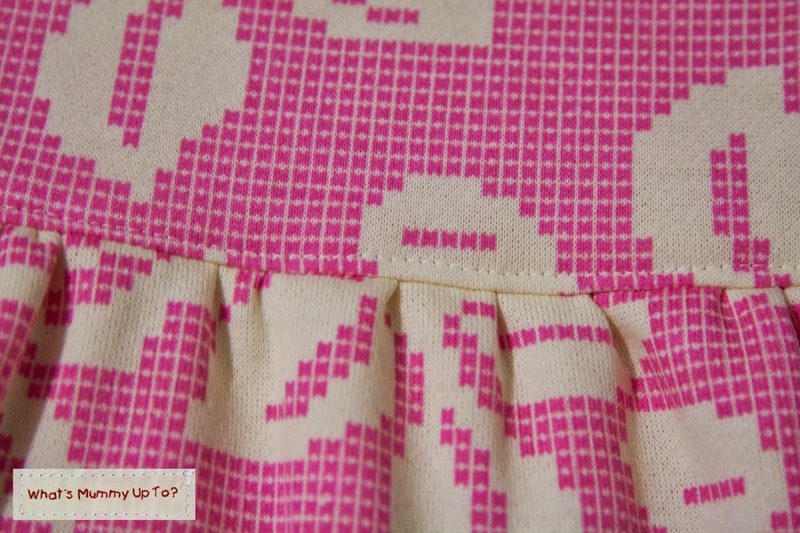 It really is a gorgeous fabric, and I love how it's perfect for little girls of for sweet little boys like yours! So cute!! Thanks for sharing that with me!! Both dresses look great, Wen, but I especially like the deer one. And you are so right.. the sewing blogging community is very generous. Thanks for sharing how you modified the pattern.